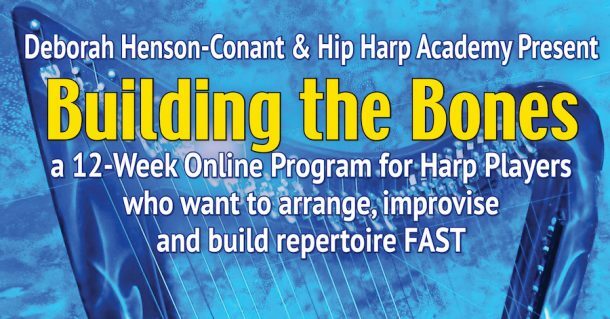 This is the member login page for Hip Harp Academy. It connects you to everything I create for my Hip Harp community – free or paid. There are 3 levels: FREE-Level, FULL-Level and “Harness Your Muse.” Having trouble logging in? Enter your email address and password then click the login button. If this is your first time logging in, copy and paste your password from your registration email to avoid typing errors. For FREE-level membership, just sign up for DHC FREE STUFF and you’ll get all my free courses and resources, – and you can upgrade to the FULL paid level later if you want. On the left side of this page in the yellow box titled, “Login Here,” enter your email address (the one you signed up with) and your password and click “Login!” It’s a good idea to check the “Remember Me” box as well if you are logging in on a private computer; then your browser will remember your login credentials (just never do that on a public computer, like at a library). If you’ve forgotten your password, or the one you have doesn’t work, just click “Lost Your Password” at the bottom of the yellow login box and the program will send you a link to update your password. Once you’re in, you should get right to your dashboard where you can click on the badge for any of the classes you’re signed up for. If you’re still having trouble logging in after following these directions, then use the “Ask a Question” form ( http://hipharp.com/ask.html ) and let us know exactly what’s happening, step by step, so we can help you solve the problem. NOTE: We sometimes change the color or location of boxes on a webpage, so if things look a little different than described above, just look around a little and you should be able to find the login box.